Naturopathy is the science and art of diagnosis, prevention, and treatment using a combination of diet, natural therapies and treatment approaches. While there multiple medical practices that co-exist today, conventional medicine is unarguably the most popular one or the one with the highest number of followers. Conventional medicine has rightly earned this reputation by delivering results in treating chronic illnesses, reducing death rates and more. However, it would not be wrong to say that the medicines used in this field contain ‘toxic’ substances which almost always have side-effects on your body, especially when taken for a longer duration. It is disheartening to see that many practitioners are making it a business that thrives on illness rather than ‘Healing’. All of this, combined with the growing awareness about the importance of pre-emptive care has led people to consider ‘Alternative Medicine’ as an alternative treatment option.Alternative Medicine comprises of a wide range of practices. 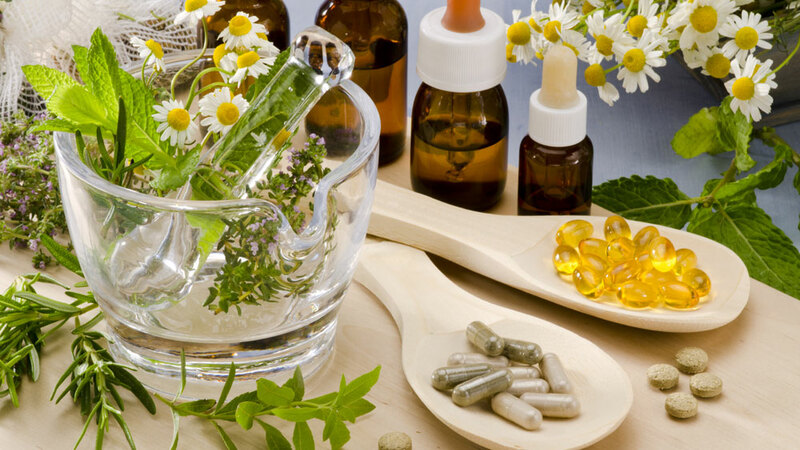 While many are disapproved by medical scientists and doctors, one such practice that has gained the approval of many doctors and medical scientists too is Naturopathy. It’s a health care system that is based on the healing power of nature. This method of treatment acts as a stimulant and triggers the power of your body to heal itself. Naturopathy is the science and art of diagnosis, prevention, and treatment using a combination of diet, natural therapies like hydrotherapy, mud therapy, chromotherapy and treatment approaches viz. acupressure, acupuncture, in addition to simple home therapies. This holistic, drugless treatment system helps the body heal on its own by focusing and correcting for the individual’s lifestyle, genetics, and diet. In a nutshell, think of it as a regime that helps to restore and revitalise your body naturally without unwanted invasive procedures and drugs. To understand how or if Naturopathy is a better alternative to conventional medicine, it is important to understand the difference between them. In conventional medicine, most drugs focus on providing immediate symptomatic relief as opposed to curing and eliminate the underlying issue. Most often the complaint surfaces back again; at times with renewed intensity. On the other hand, naturopathy works to find the underlying problem and eliminates it from the root in a natural way rather than treating just the symptoms. Another big contrast between the two fields is that while conventional medicine focuses more on curing the disease, Naturopathy focuses on providing a healing environment to the body to help it fight the health issues and imbalances itself. Lastly, while most of the drugs used in conventional medicine contain high amounts of toxic elements that can create further ailments, Naturopathy relies on natural resources like food, air, water, mud, exercises, etc for holistic healing through appropriate lifestyle changes. Alternative Treatments like Naturopathy are gaining favor both in the west as well as the east as people are looking to take more responsibility for their well-being and sustained good health, with minimal dependence on medicines. Now, let’s evaluate if Naturopathy can truly become a better alternative to conventional medicine. While medicine and surgeries are known for being effective, Naturopathy too provides the same effectiveness in a safe way. Just the approach to treating is a little different. Naturopathy is a wholesome lifestyle process. It’s based on promoting holistic wellness rather than just treating the symptom of illness. Conventional medicine has gained popularity over the years because of its effectiveness in curing chronic illnesses. While this is true, it is also true, that the curative and emergency measures employed by conventional medicines tend to suppress the body’s natural immunity and the response to healing itself. In real life, imbalances in the body manifests as illness and diseases. However, they do not occur all-of-a-sudden like a bolt out of the sky. Rather, most illnesses like cardiac diseases, osteoporosis, high blood pressure, PCOD, migraine, and diabetes are a result of internal imbalances due to an unhealthy lifestyle and improper diet over time. Naturopathy stems from the concept that the human body is a wonderful and inspiring piece of mechanism. It has the power and the means to heal itself naturally. Thus, by adopting right practices, proper diet, and therapies, chronic illnesses cannot only be treated, but also prevented. One of the underlying principles of Naturopathy is that you become what you eat. Even doctors and practitioners from conventional medicine use this principle to aid their patients in the treatment process or recovery. Experts and doctors in Naturopathy have taken it a step further and found foods and herbs that cannot just aid, but also cure the illnesses by working on the cause of diseases. Along with what you eat, right exercises and therapies ensure that your body gets the right platform not only to Heal Holistically but also thrive, giving your body strength, vitality, and rigor to stay protected from future threats and live wholesomely. While conventional medicine has its own place as a treatment option, people need to look at their health holistically. Today’s world poses different set of challenges than what our ancestors faced decades or centuries ago. The challenge is not just to cure but increase the longevity. It is about making your body stronger to ensure you stay protected. The happy news here is that an increasing tribe of people all over the world are becoming more aware of alternative medicine and taking informed choices when it comes to their health. It’s time to put an end to looking at diseases as something to be feared. Rather, take control of your body and heal it in a holistic way. No prescription is more valuable than the awareness that you can heal yourself naturally. This article has been authored by Smita Sundararaman: Founder & Managing Director - NatureHealz.